Acetate film base is prone to a slow form of chemical deterioration called “Vinegar Syndrome” which causes the film base to shrink and buckle, while emitting a strong vinegar odour. Acetate film was also known as “Safety Film” and was used in New Zealand as late as the mid 1990’s. It replaced the highly combustible nitrate film used in New Zealand until the early 1950’s. 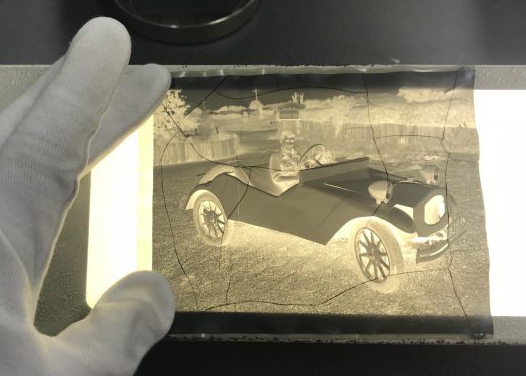 If you detect vinegar syndrome in your microfilm collection it is important to isolate the affected films as the fumes released will markedly increase the chances of the other films being contaminated. The only solution to films with vinegar syndrome is to chill them right down to slow the degradation and duplicate them onto the more stable modern polyester films as soon as practical. We are experienced in duplicating acetate microfilm with vinegar syndrome onto polyester film and have specialised equipment for this task. Please contact us if you have any concerns about your microfilm collection. Photographic collections can also suffer from the same vinegar syndrome – ask us how we can assist with your photographic collections.